Brubeck’s womens athletic short sleeve tops are made of seamless, double-layer knitwear which allows the skin to breathe. The inner layer made of polyester ensures quick moisture-wicking, whilst the outer layer, made of polyamide, transfers excessive moisture and heat further away from the body to prevent overheating. 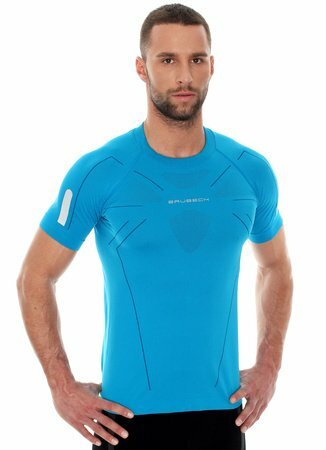 Special ventilation zones in the areas of excessive perspiration and a loose fit guarantee proper body ventilation during sports effort.